If you are looking for a low maintenance diet that will help reduce your risk of heart disease, cancer, Parkinson’s and Alzheimer’s, look no further. The Mediterranean diet is a simple and cheap way to lose weight and to increase your overall health for the rest of your life. It is so beneficial and widely accepted that almost every major scientific organization encourages healthy adults to adopt the Mediterranean diet. With this diet, there are no steps or phases, nor are there any pills or hormones to take. No companies benefit directly from the adoption of this simple diet. The Mediterranean diet is based on the common eating habits of the population near the Mediterranean Sea (south Italy, Greece and Crete) which involves very little red meat but includes large amounts of fresh vegetables, fruits, and seafood. The rubric to follow in the Mediterranean diet is a simple one, first and foremost, get plenty of exercise. As with any diet, long term health relies heavily on exercise. Every meal should be built around plant based foods, such as whole grains, legumes, nuts, fruits and vegetables. It’s best to try for 7 to 10 servings of fruits and vegetables a day. Eat bread and pasta, but switch to whole grain products. Though nuts are also a major component of the diet, their intake should be limited as nuts are high in calories, so a handful a day should be fine. Though whole grain bread is perfectly fine to eat on the Mediterranean diet, butter and margarine should be avoided entirely. Instead of butter, use olive oil when cooking pasta and dip bread in olive oil to give it more flavor. Eat less red meat. It has been proven time and again that eating too much red meat is not good for heart health. With the Mediterranean diet, fish and other seafood should be eaten at least twice a week and poultry should replace red meat at most of your meals. Red meat is not banned with the diet, but portions should be kept small and only lean meat should be eaten on a regular basis. Moderate your intake of eggs, cheese and yogurt. Dairy products should be a part of your diet, but not at every meal. domain list . Keep portions down to one or two a day at most. Dieters can also switch to skim milk, fat free yogurt and low fat cheese if they wish to increase their portions. One other part of the Mediterranean diet that many people seem to enjoy is the recommendation that a glass of red wine be had with dinner as often as possible. Red wine is good for a healthy heart as long as it is drunk in moderation. For those that do not drink alcohol, purple grape juice can be a good alternative. 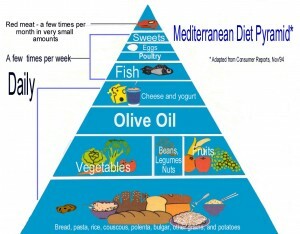 If you are serious about losing that stubborn fat or building muscle the Mediterranean Diet is amazing. Food tastes good and you lose weight! 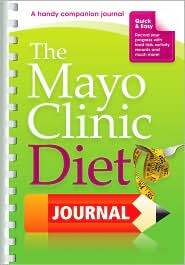 Med diet or 17 day diet are my personal favorites! There are some details you added here that I’ll try adding, thnx!